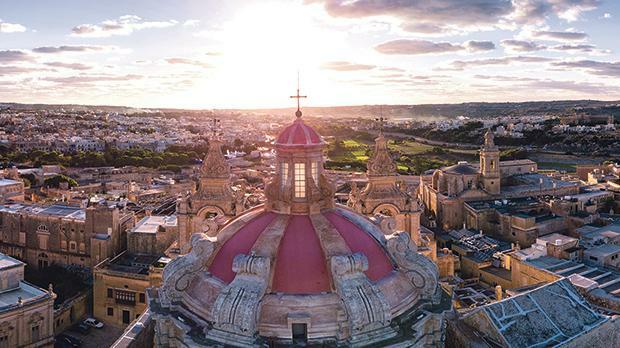 Sunset over Malta, as seen from above St Paul’s cathedral, Mdina. Many have already commented on the result of the Irish abortion referendum. I think this is the concluding episode of the long process of the secularisation of the West. The Irish were angry at the Church, mostly because the Church, occupying a dominant position for a long period of time, often used its influence to block the ‘ways of the world’ accepted as normality in other countries. However, while many cried for revenge, I believe that what contributed to the result was secularism, which reached Ireland as it has reached Malta. European Christian countries, little by little, began to shrug off religious mores and replace them with secularist ones that they found to be less burdensome and more tolerable. Eventually, they might realise they are less human. Until World War II most Europeans were Christian, belonging to a Church. In that situation the Church talked to members of its own fold. After the war the great transformation began. Vatican II tried to prepare the Church for the new scenario but unfortunately it was not taken seriously enough. In this new scenario the relationship between the Church and the world changes drastically. Now the Church cannot ‘preach’ any more; it needs to learn to dialogue with the world because it no longer addresses its own. Its mission, more than ever before, is to be prophetic. For this to happen a few drastic changes are necessary. The Church needs to change the way it views itself and its audience. Rather than protecting by legislation the Church should appeal to the personal responsibility of individuals to live as befits human persons. In the case of abortion, for instance, the message should be about the responsibility of a mother to protect the human life she is carrying. This can be done only if the Church strongly believes that people are capable of assuming responsibility and that there is a sense of goodness and justice within them and that they are not unwilling to be guided by it. This is how the prophet Nathan dealt with King David’s sin: he appealed to David’s sense of justice by telling him a story which helped him understand the crime he had committed. David recognised his sin and repented (II Sam. 12). Pope John XXIII was the first to use this method when he addressed “all those of good will” rather than “the faithful”. Vatican II emphasised the fact that the action of the Holy Spirit extends beyond the limits of the Church and this makes it possible for the Church to be prophetic even to non-Church members. For its prophetic message to be effective, the Church needs to regain the credibility lost over the years and, lately, as a result of the sexual abuse of minors by priests and religious and the cover-up that followed. Credibility will be regained only if the Church recognises that it is a communion of saints but who are also sinners. Pope Francis moves in this direction when he calls the Church a “battlefield hospital” and when he asks for forgiveness. Unfortunately, many, including bishops and priests, are resisting Pope Francis’s intuitions. Through excessively intransigent positions but also through symbols and robes of the past that many – alas, often younger priests – are resorting to, they continue to portray a dominant Church. This is putting obstacles in the way of a Church that – through Pope Francis – is trying to change its style, becoming more pro­phetic and more efficacious in the world we live in.